Arsene Wenger has said there is no bidding war between Manchester City and Manchester United over Alexis Sanchez. The Frenchman was tightlipped over the future of the Chile international but did not deny that approaches had been made. Get the full story right here on Goal! Manchester City are still hopeful of signing Alexis Sanchez in January, despite a supposed approach from Manchester United, Goal understands. The Blues’ plans for Alexis remain unchanged, despite news of rival interest emerging on Thursday, and the club are also believed to be working on at least one other deal. Read the full story on an intriguing transfer tale here. 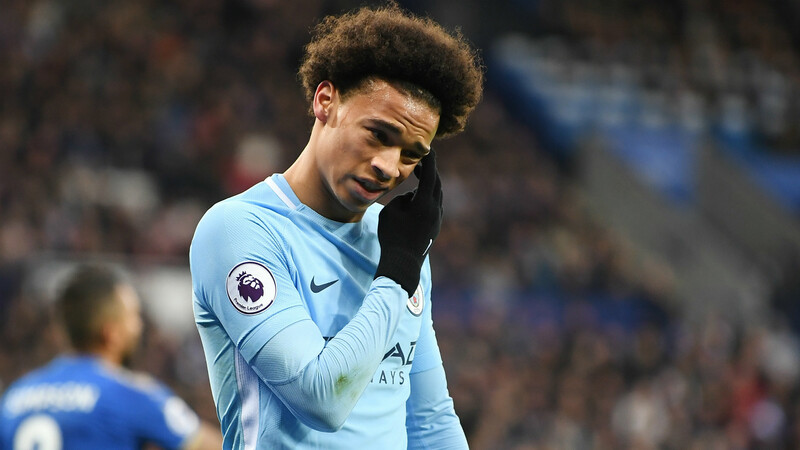 Napoli manager Maurizio Sarri has requested the signing of Manchester City Leroy Sane, according to CalcioNapoli24. The 59-year-old asked president Aurelio De Laurentiis, during talks over a new contract, to attempt to lure the Germany international away from the Etihad Stadium. De Laurentiis, however, instantly rebuffed the request, maintaining that the winger would prove too expensive. Manchester United have passed Manchester City in the race to sign Borussia Dortmund midfielder Julian Weigl, according to the Independent . Jose Mourinho is said to want a new defensive midfielder in support of Paul Pogba, and City target Weigl has landed on the Red Devils' radar. While a swap involving Henrikh Mkhitaryan seems unlikely, United's willingness to send the midfielder to Dortmund could help facilitate talks to sign Weigl. Gerard Pique has warned Manchester rivals United and City that Barcelona expect Samuel Umtiti to remain at the club for “many more years”. The two Premier League heavyweights are reported to have identified the France international defender as top target during the January transfer window. Find out what the ex-Man Utd defender had to say in full right here on Goal! Kevin De Bruyne is “not in a hurry” to extend his contract with Premier League leaders Manchester City. Goal revealed back in December that the Belgium international has been offered lucrative fresh terms at the Etihad Stadium – with a proposed new deal including a €10 million signing-on fee. Find out why he's biding his time right here on Goal! Manchester City have held talks with ex-Manchester United defender Jonny Evans over a move to the Etihad Stadium, reports the Daily Mail . Evans, 30, has 18 months remaining on his West Bromwich Albion contract and has also aroused interest from Arsenal this window. He would be available for around £20 million, while City's interest in Real Sociedad defender Inigo Martinez has cooled. Arsenal manager Arsene Wenger is hoping Alexis Sanchez will remain with the club "for longer" despite links to a January move to Manchester City. The 29-year-old has been heavily touted for a switch to City, who failed to conclude a deadline-day swoop for the star back in August. But the transfer talk didn't prevent Wenger from playing Alexis as a second-half substitute Wednesday against Chelsea in the Carabao Cup. Aberdeen have landed Manchester City prospect Chidiebere Nwakali on loan, according to the Aberdeen Evening Express . The 21-year-old Nigerian was on Manchester City’s tour of the USA in July and also signed a one-year contract extension with the Premiership leaders last summer, but has once again been sent out on loan having already spent time with the likes of Sogndal and Start in Norway since joining the Manchester outfit in 2015. Raheem Sterling is in line for a new Manchester City contract worth in excess of £250,000 a week, reports The Guardian. Sterling’s current deals expires in 2020 and he earns a basic £170,000 a week, with City keen to reward the England international with a bumper new deal. The total package is likely to land Sterling a sizeable increase, with City keen to start talks over a new deal for the winger in February.